Calendula is a staple when it comes to Western herbal medicine. It's broad action on skin and gut epithelial tissue health make it useful for many different conditions. Topically, its antibacterial and anti-fungal actions make it useful for infections including impetigo, athletes foot, and tinnea. 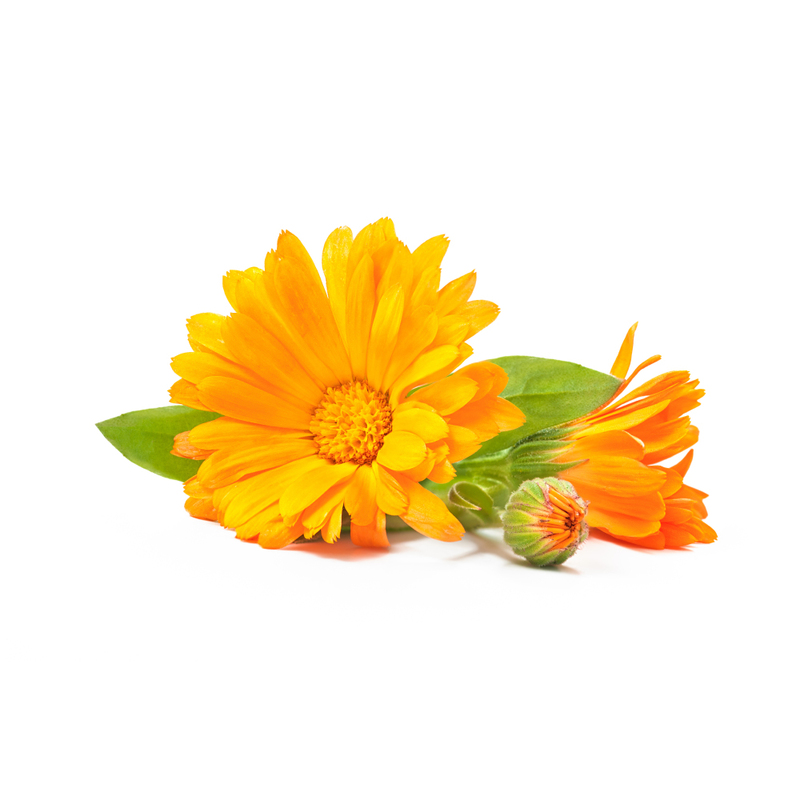 Calendulas soothing action makes it useful for treating skin irritations like cuts, burns, and rashes. What Is Calendula Used For? Calendula is mainly used for topical applications involving the skin, including rashes, burns, cuts, scrapes, fungal infections, conunctivitis, sun burns, skin ulcers, eczema, acne, psoriasis, and trichomosis. it is also used internally for inflammatory conditions in the gastrointestinal tract. Calendula has a long history of use throughout Europe for its ability to heal wounds for both skin, and gastrointestinal damage or inflammation . For this reason it was commonly used in World War 1 and the American civil war in anti-inflammatory and antiseptic salves and creams . Calendula is a member of the asteraceae family of plants, which is the largest family of flowering plants in the world. it is a member of the calenduleae tribe within th asteraceae family. This tribe includes 8 genera and over 110 different species. Other members of this tribe includes Osteospermum and Chrysanthemoides. The topical anti-inflammatory actions of calendula have been shown through the standard inflammation test using carrageenan and mouse paw edema in multiple studies [1, 10-12]. It has been found that a combination of both the hydrophilic and lipophilic extracts promoted skin healing and provided anti-inflammatory actions topically [3, 9]. The skin healing (proliferative) actions were found to be due to a stimulating fibroplasia, and angiogenesis in the wound healing process . In injuries such as burns, the resulting damage causes inflammation, oxidative stress, and greatly increases the possibility of infection. Healing the wound quickly, as well as reducing the possibility of infection is the mainstay of this treatment. Calendula possesses many of the desired actions for a wound such as this, via its well known antibacterial [2, 14], anti-inflammatory [1, 10-12, 14], vulnerary [1, 3, 9], and antioxidant actions . It has been reported to also possess angiogenic, and vasoprotective actions  as well which need further investigation but would likely add to the vulnerary activities of this plant and its extracts. In a specific study on calendula's vulnerary actions on burns, it was found to possess a significant actions on speeding the rate of healing, through increasing the levels of glutathione, superoxide dismutase, and catalase. Thus calendula can improve burn wound healing through improving the antioxidant defence mechanisms of the tissue . Calendulas well known antinflammatory, antifungal, and antibacterial actions make it very useful for a large variety of skin conditions and infections as well as some internal inflammation in the gastrointestinal tract. Toxicology studies on Calendula officinalis has found the LD50 of calendula at a dose of 375 mg/kg and a LD100 of 580 mg/kg (in mice). Shown to be non toxic during chronic administrations in mice . High doses of calendula flower extract (0.15g/kg) in hamsters and rats have also been reported to show no toxicity . No adverse effects expected with use during pregnancy . Varro T. (1993). The honest herbal. 3rd ed. Pharmaceutical Products Press, USA. Preethi, K.C., Kuttan, G., and Kuttan, (2008). R.: Antioxidant potential of Calendula officinalis flowers in vitro and in vivo. Pharmaceutical. Biol., 44(9), 691–697, 2006. Bone, K. (2003). A clinical guide to blending liquid herbs: Herbal formulations for the individual patient. Edinburgh [u.a. : Churchill Livingstone. (Pg. 120-123].